Donna Yvonne Jagger, 91, of Michigan City, IN, passed away peacefully with family at her side on Sunday, November 25, 2018. She was born on August 31, 1927 in Des Moines, IA to George Williams and Velora (Smith) Williams. On June 3, 1950 in Independence, MO, she married Lewis F. Jagger who preceded her in death on August 10, 2007. She was also preceded in death by her parents and her sister, Vergean (Williams) Wood of Fort Collins, CO.
Donna is survived by her three children, Sandra Newcom of Brooklyn Park, MN, Bill (Sherry) Jagger of La Porte, and Rob (Lydia) Jagger of New Carlisle. Also surviving are her grandchildren, Ryan (Pooja) Newcom, Justin (Claire) Newcom, Brett (Becca) Jagger, Lauren (Andy) Scalf, Kyle Jagger, and Kristee (Will) Dowling; as well as her great-grandchildren, Kethan and Zia Newcom, Elizabeth and Margaret Jagger, Grayson Cox, Adalynn Scalf, Emma and Sue Ellen King, and Lydia and Dantzler Dowling; and her brother-in-law, Ed Van Fleet; and nieces and nephews. Donna spent her childhood and teen years in both Des Moines, IA and Denver, CO. She attended Graceland College in Lamoni, IA from 1945-1947 and the University of Kansas from 1947-1949 where she graduated with a degree in Physical Therapy. Donna worked as a physical therapist in Kansas City until 1953 and then returned to work part-time in the late 1960's after moving to Michigan City in 1963. She worked in hospitals in both Michigan City and La Porte, and spent many years with the Visiting Nurse Association of La Porte County. She was very gifted in working with stroke survivors and persons who had traumatic brain injuries. Besides her profession, Donna loved her roles as a wife, mother, homemaker, volunteer, neighbor, and good friend. Her husband Lewis' career with the J.C. Penney Co. required several moves around the Midwest before arriving in IN, and each new city brought new adventures, volunteer opportunities, close friends, and a welcoming church community. Donna's heritage as a great-great-granddaughter of Joseph Smith, Jr. led her to being a life-long, active member of the Community of Christ Church. Other local community involvement included CISV (Children's International Summer Village), the Girl Scouts, P.E.O., the Muni Women's Golf League, and serving on the board of the Samaritan Center. Donna loved classical music, art, theater, and beautiful gardens. She loved meeting people from other countries, learning about their cultures and experiences, and traveling throughout the world. 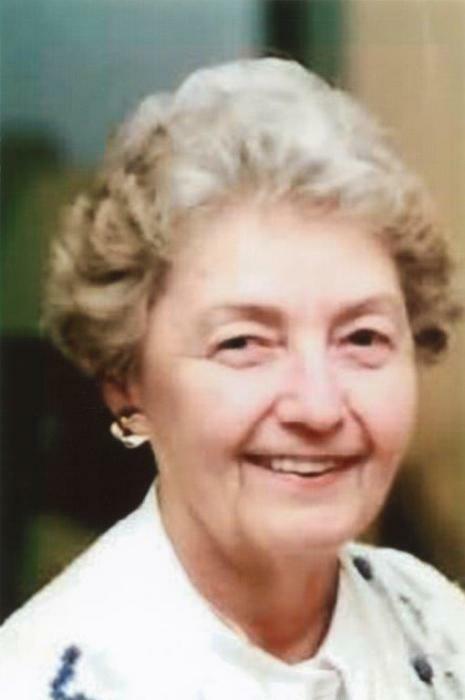 She was also a life-long learner, an avid bridge player, and an enthusiastic sports participant who enjoyed biking, skiing, boating, tennis, and golf. Beyond her varied interests, Donna especially cherished her family and friends. She welcomed many into her home with kindness and warmth, and was always ready to lend a hand and be of service to others. She was well thought of, appreciated for her kind and gentle spirit, and much loved. She will be greatly missed. The family would like to express special gratitude and appreciation to Brentwood of La Porte and Miller's Merry Manor of New Carlisle for their wonderful support and care. A Celebration of Life Memorial Service will be held at 11:00 a.m. (CST) on December 29th, 2018 at the Community of Christ Church, 110 N. Cleveland Ave., Galien, MI 49113. Visitation with the family will begin at 10:00 a.m. (CST) with a luncheon following the service in the Community Room. In lieu of flowers, contributions in honor of Donna may be made to Outreach International of Independence, MO, 112 W. 18th St., Kansas City, MO 64108-1232, the Center for Hospice Care in South Bend, 111 Sunnybrook Ct., South Bend, IN 46601, and the Community of Christ Church in Galien.